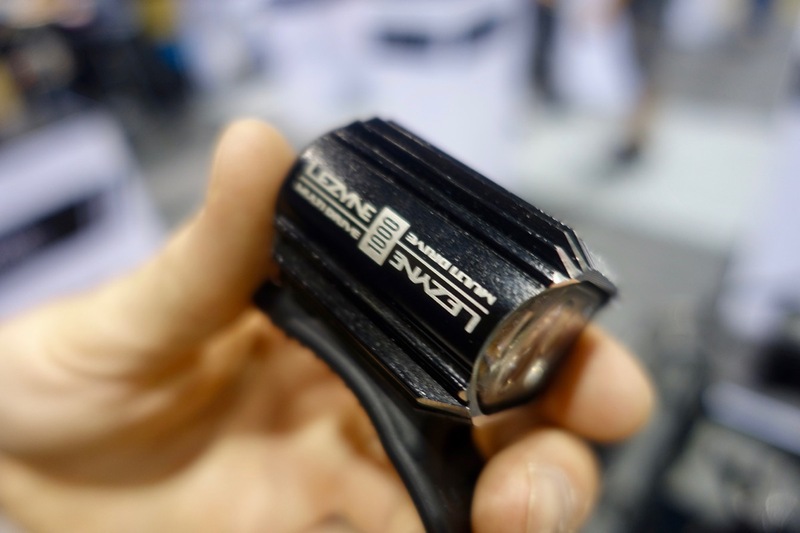 Lezyne sells everything from bike tools to lights and electronics, and each year at Interbike their booth offers up a slew of new and innovative products. 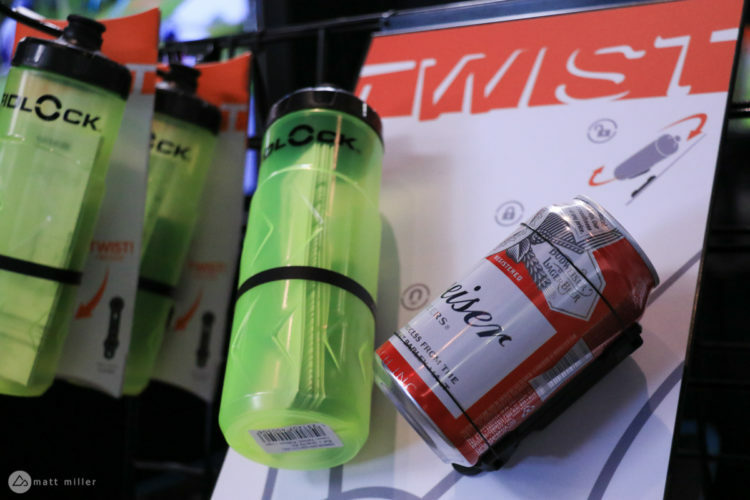 Here’s a sampling of some of the newest mountain bike products on display. 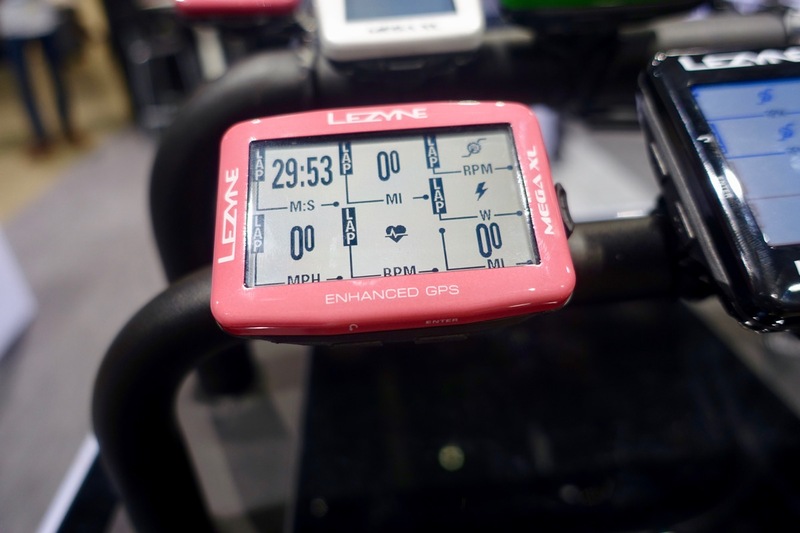 While some GPS devices are starting to look more like smartphones with full-color, touch-enabled screens, Lezyne (and others like Wahoo) are keeping things simple and optimized for the bike. What does that mean? For starters, it means a high-contrast screen that’s easy to read outdoors, and a simplified interface that doesn’t require a lot of tapping, scrolling, or pinching. 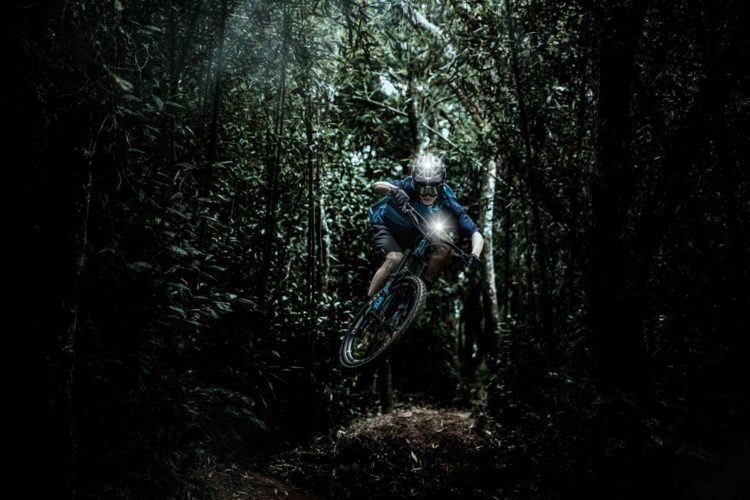 The new Lezyne Mega XL can be mounted in portrait or landscape mode, and offers a bevy of features like real-time location sharing and turn-by-turn directions when paired with a smartphone. The Mega XL can store offline maps, and Lezyne is offering the Mega XL in a number of limited-edition colors. Pricing starts at just $199, making this a solidly-affordable choice. 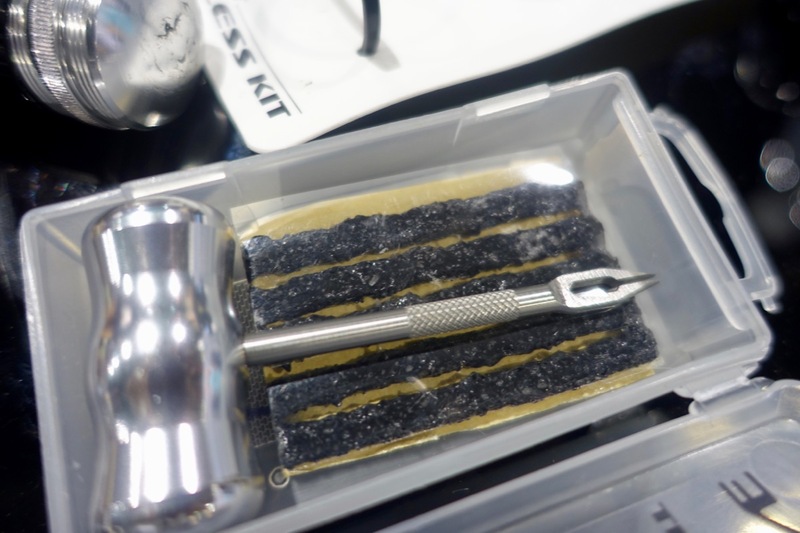 Tire plugs are the hot new emergency trail repair item (if there is such a thing), and Lezyne has a couple options to choose from. 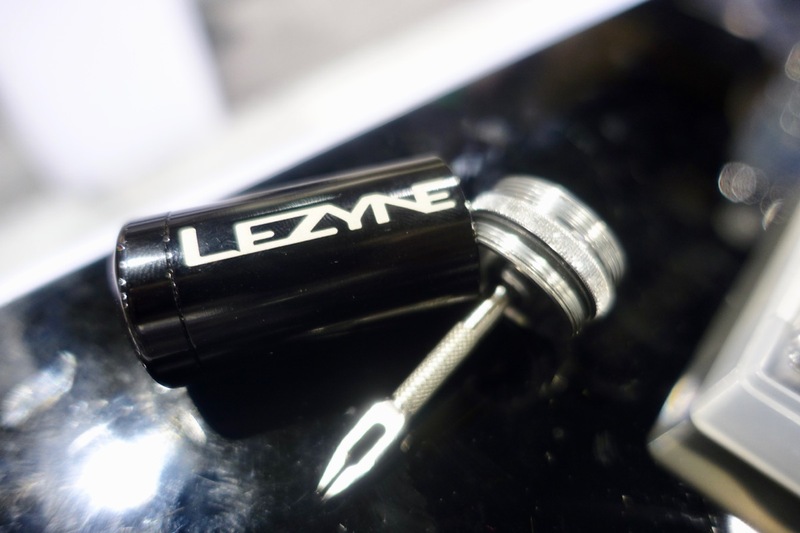 The first photo above shows Lezyne’s $19.99 “Tubeless Kit” which comes with five tire plugs that can be stored inside the tube. The body also doubles as a handle for the tool. 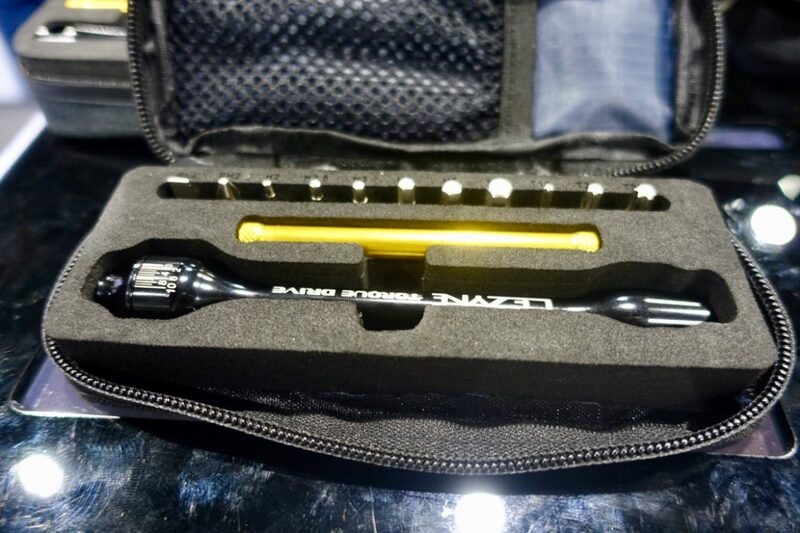 The next photo above shows the “Classic Tubeless Kit” which takes up a bit more space in a pack but features a T-handle and a more affordable price of $9.99. 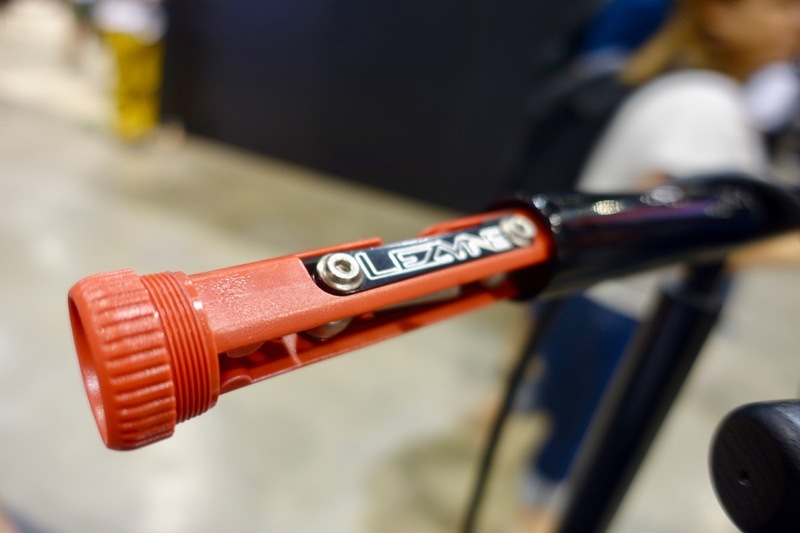 It seems like pretty much everyone is coming out with a portable, multi-bit torque tool this year, and Lezyne is no exception. 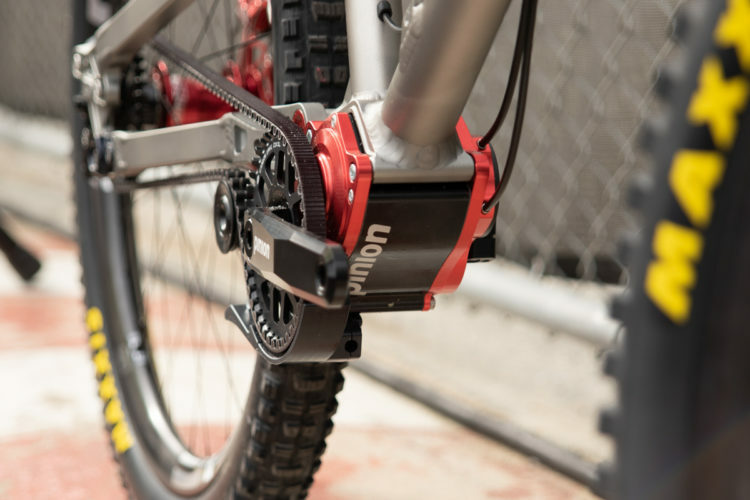 The Torque Drive can be used as a T- or L-shaped tool, and includes a number of magnetic bits for just about every part on a bike. Torque values range from 2-9Nm. Priced at $49.99, the Torque Drive costs more than a standard multi-tool, but is still very affordable for a torque tool. 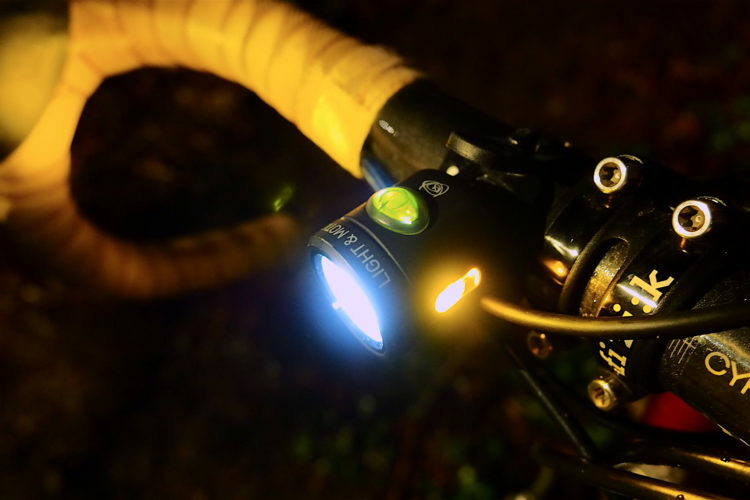 Look for similar, trail-worthy torque multi-tools from Prestacycle, Topeak, and others. 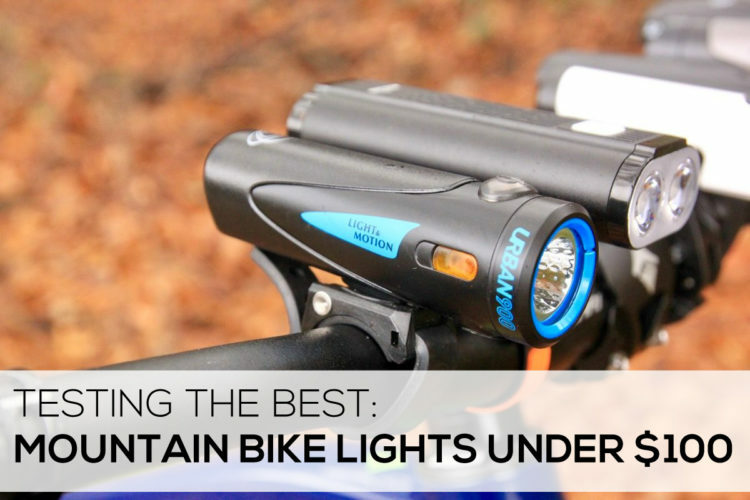 Mountain bikers are stashing tools everywhere, from steerer tubes to handlebar ends to crank spindles and downtubes. So, why not add tools to the handle of a shop pump? 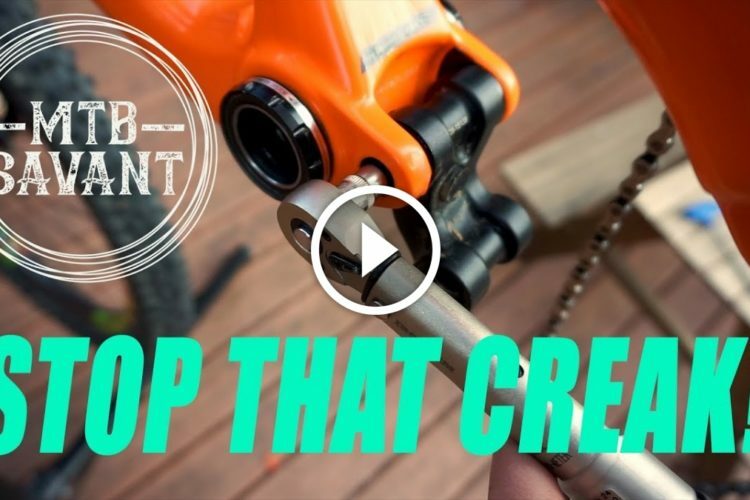 The $99 Shop Floor Drive includes a multi-tool, 4 tire levers, and patches inside the handles. This could actually come in handy for the unorganized home mechanic (guilty) who is always fumbling for the right tool. 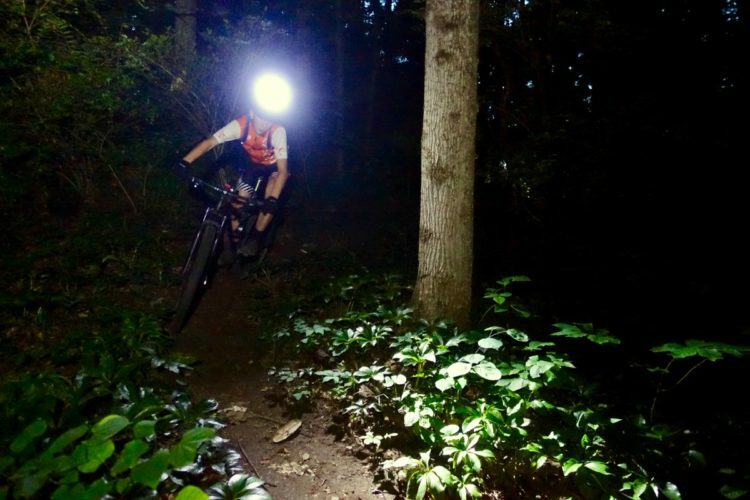 The new Lezyne Multi Drive LED light produces up to 1,000 lumens and features a separate battery pack to make helmet mounting easier and more comfortable. The light comes with a ton of mounts in the box, and will retail for $169.99. 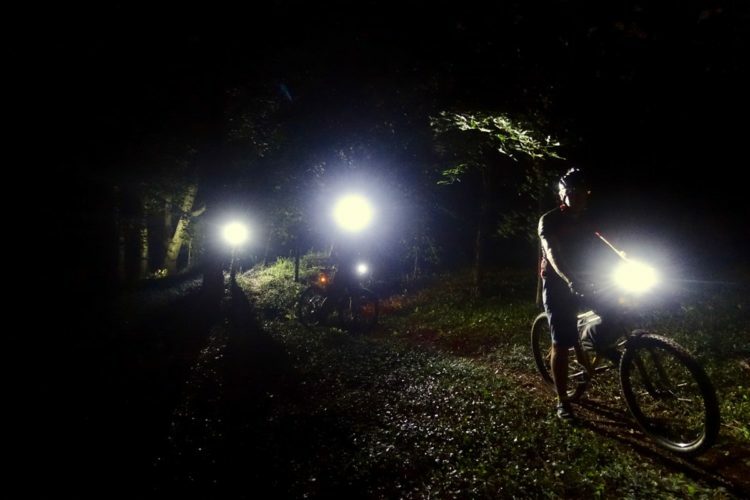 Look for a more in-depth review from Singletracks soon.